The Gospel takes us on a pretty wild adventure, each person brings a different gift, personality, opportunity and story to carry the name of Jesus to new frontiers. You can make a direct impact for the Kingdom of God today, now, through prayer and participation in the mission of God. If you become a follower of Jesus and the invisible parts of your life are rooted in Christ, then with Jesus as the centerpiece, the visible parts of your life should look like Jesus. Due to our transition schedule, we will be posting the Sunday teachings from Anthem Thousand Oaks, so you can keep up with our journey through the book of Colossians. Paul show us how we can put to death "what is earthly" in us. As we go about life in a culture that is full of many sub-groups and ways that people self-identify, there needs to be a predominant understanding that the statement, "I am a child of God" supersedes all other identity markers. Due to our transition schedule, we will be posting the Sunday teachings from Anthem Thousand Oaks, so you can keep up with our journey through the book of Colossians. We are called to find our whole identity in Jesus, and to put to death all parts of us that do not reflect Him. Due to our transition schedule, we will be posting the Sunday teachings from Anthem Thousand Oaks, so you can keep up with our journey through the book of Colossians. Here in Colossians 2:6-23, we see Paul plead with the church in Colossae (and us) to keep Jesus as the center of everything we are. We are also warned to not let anything rise to the level of saying that we are saved by, "Jesus and...." anything. It is Jesus alone who is worthy of our praise!​ Due to our transition schedule, we will be posting the Sunday teachings from Anthem Thousand Oaks, so you can keep up with our journey through the book of Colossians. To be a recipient of the Gospel is to be a steward of the Gospel. That affects how you choose to live in light of the Gospel and how you participate in passing on the mysteries of the Gospel.  *Due to some technical difficulties, the audio from Anthem Ventura was not recorded. This is the teaching from Anthem Thousand Oaks. * The Colossians are to be filled with the knowledge of God so that they can live lives worthy of the gospel they have received. This knowledge centers on the powerful redemptive work of God through his beloved Son. 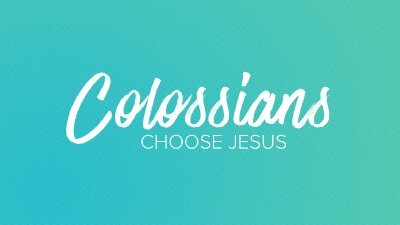 The letter to the Colossians deals with following Jesus in contrast to the philosophies and values of the world. Will we choose Jesus or the possessions, values and philosophies of a fallen world?